Grassroots movement transcends divides to bring Jews across the world to keep a single Shabbat together. A kosher Shabbat dinner at a backpacker’s lodge in Dalat, Vietnam; a 9,000 women-strong challah-baking event in Buenos Aires; a glow-in-the-dark challah event in Costa Rica; a binational gathering on the Mexican-US border; a dinner for 1,000 Israelis in a shipping hanger in Tel Aviv; and a Shabbat kept in full on the slopes of Mt Kilimanjaro are just a few of the remarkable events taking place this year as part of the 5th annual Shabbat Project on October 27 & 28. The Shabbat Project is a global grassroots movement that brings Jews from across the world together to keep a single Shabbat, transcending religious denomination, political persuasion and other divides such as age, language and lifestyle. The initiative was introduced in South Africa in 2013, before going global the following year. Now in its fifth year, the Shabbat Project is firmly established as an anticipated annual highlight of the international Jewish calendar. The Shabbat Project is the conduit of all the gatherings, acting as a portal and resource for every event and interested participant, and providing comprehensive Shabbat materials and support. Crucially, while many of the events are coordinated and managed through formal communal organizations, the initiative is essentially a social movement driven by volunteers on the ground. “Jews across the spectrum are receptive to the Shabbat Project precisely because it isn’t associated with any particular movement or body,” says Goldstein. Lome (Togo) and Maputo (Mozambique) are hosting events this year for the first time, as are Larnaca (Cyprus), Asuncion (Paraguay) and Venezuela. They are joined by nearly 160 cities in Israel, over 500 cities in the US, and a combined one million Jews in 1,152 cities in 95 countries around the world. Sydney will be one of the first cities to usher in Shabbat at an open-air musical event overlooking the iconic Sydney Harbour Bridge. In Brazil, Recife’s famous Kahal Zur Israel synagogue – erected in 1636, the oldest synagogue in the Americas – is creaking open its doors to host a series of events, Cape Town and Johannesburg are hosting a “dark tisch” – a Friday night celebration held in total darkness. And in the UK, an estimated 100,000 Brits are taking part in hundreds of events across the country. Meanwhile, a dedicated fund has been set up to help participating communities who are battling uncommon challenges, such as a synagogue in southern Texas devastated by Hurricane Harvey and a community in Uganda who are weathering a nation-wide famine. “There is a real thirst worldwide for true Jewish unity and for a genuine connection to Judaism. And people really resonate with the way Shabbat carves out a sacred space of tranquility and togetherness amidst the frenzy of modern life,” Goldstein added. 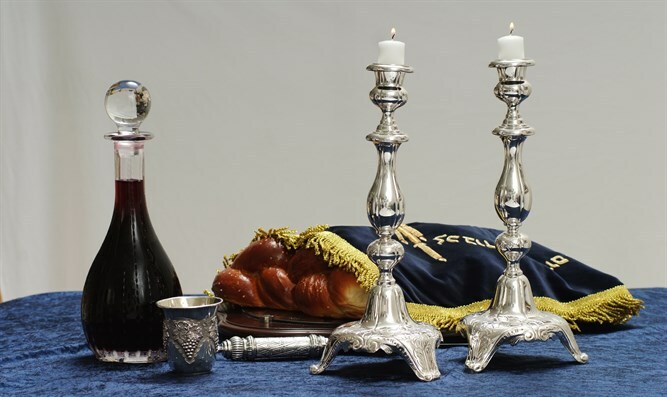 “Shabbat enables us to momentarily set aside the distractions, demands and pressures of daily life – offering us the time and space to renew our inner selves, and to revisit and reinvigorate our most important relationships.